Are you a student? Please visit our University Network Registration and Renewal page instead. Thank you very much for your support of the Institute for Jewish Ideas and Ideals. As a member of the Institute, you are a partner in its work and help it achieve its goals. Your membership dues and contributions are the sole way the Institute can fund its important programs. 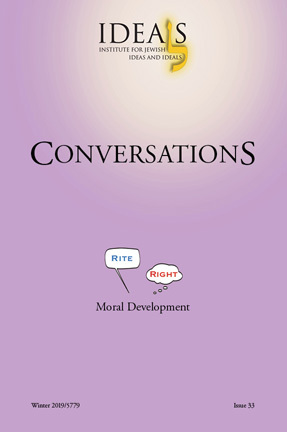 Conversations, the Institute's print publication. Instant discounts at our online store. Additional publications and other special offers. If your membership is current, please consider contributing to our current fundraising campaign at our Contribute page. If you would like to register without membership and its benefits, please go to our Register Email page. Thanks so much for your support of the Institute for Jewish Ideas and Ideals. To become a member, please choose a membership level below.